Two companies owned by black women, which were awarded Eskom tenders totalling R64m, subcontracted the bulk of their work to a losing bidder – a multinational company – allegedly without declaring it to the state-owned enterprise, according to documents seen by City Press. The companies, Mfesi Cleaning Services and Total Serve Facilities Management, were awarded cleaning contracts of R50.2m and R14m, respectively. Both contracts were subsequently increased under seemingly dubious circumstances, with Mfesi’s contract upped to R60.1m, while Total Serve’s contract was upped to R17.3m. The two companies subsequently outsourced the bulk of their respective contracts to one of the 11 losing bidders that contested the same tenders – Sanitech, a national company with more than 20 branch offices throughout the country and a few in African countries, according to its website. Sanitech’s spokesperson and managing director, Robert Erasmus, confirmed that the contracts had been subcontracted. He said, however, that the company had been subcontracted only for hygiene services and not for cleaning. This was confirmed by Sanitech’s regional manager, Yvonne Smith, who said the company was approached and contracted by the two companies after being unsuccessful in its own bid for the same tender. “For Mfesi Cleaning we are providing hygiene services in Durban and Pietermaritzburg, and for Total Serve we are providing hygiene and pest-control services in Newcastle,” she said. She said she did not know whether Sanitech’s contracts with the companies had been declared to Eskom and declined to divulge the value of each. According to documents detailing the services, which were seen by City Press, the services allocated to Mfesi by Eskom are listed as cleaning adjustments, laundry and the removal of front-line services in Durban, Empangeni and Pietermaritzburg. Total Serve is contracted for cleaning adjustments, “mew cleaners” and the removal of front-line services for Newcastle. 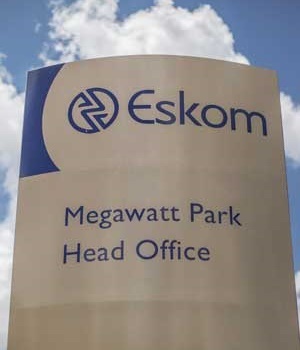 According to the itemised document indicating the services and their attached values, Eskom was billed around R29m of the overall R60.1m for cleaning adjustments in the Mfesi contract – this after the figure was increased by R10.7m against professional advice. Total Serve has billed for R6.9m on its Eskom contract, up from R4.1m from the overall R15.1m value of the tender for cleaning adjustments. Eskom spokesperson Khulu Phasiwe said the regulations relating to subcontracting were in line with the directives of the latest Preferential Procurement Policy Framework Act (PPPFA) regulations, which came into effect on April 1 this year, stipulated that for contracts above R30m, subcontracting must be made a condition of tender to advance designated groups if it were feasible to subcontract. He also said a “minimum of 30% of the contract value could be subcontracted”. Phasiwe said contracts awarded to Mfesi and Total Serve had subcontracting options annexed to them. BBBEE status verification before it was forwarded to the procurement manager for approval. He did not respond as to whether this process had been followed in these two cases and, at the time of going to print, further responses had not been received. The sole director of Mfesi, Jannet Dube, declined to comment on the matter. The sole director of Total Serve, Thandeka Ndlovu, had not responded to questions sent to her via email as per her request.